Dr. Yang Mengfei, Professor, Chief Engineer and Chief Commander of China Academy of Space Technology, Beijing, China. 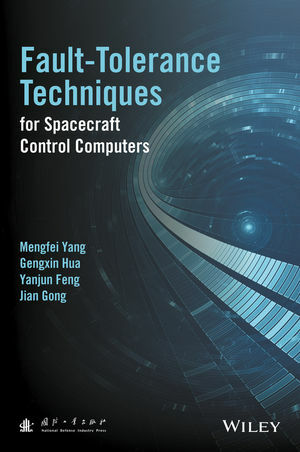 Professor Yang Mengfei received his Master's degree in computer application from Beijing Institute of Control Engineering, China Academy of Space Technology in 1985. He then devoted himself to the research of fault tolerance computing, control of computer technology for space applications, and high-dependable software. In 2005, he received Ph.D. degree from Tsinghua University. Professor Yang has received numerous awards for his outstanding work and contribution to this sector. Dr. Hua Gengxin, Professor, Chief Engineer, Beijing Institute of Control Engineering, Beijing, China. Dr. Feng Yanjun, Senior Engineer, Director, China Academy of Space Technology, Beijing, China. Dr. Gong Jian, Senior Engineer, Engineer in Charge, Beijing Institute of Control Engineering, Beijing, China.